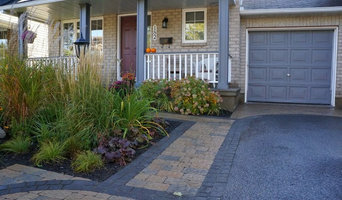 RiverMist Landscape Provide landscaping & Interlock service in Ottawa area. We specialize in Building Interlock Driveways, Walkways, Patio, and Retaining Walls. Shrubs pruning, Hedge Trimming, Lawn Installation etc. Over the years Solace has designed and built some truly unique landscapes ranging from natural stone to interlock to softscapes and everything in between. With over 300 projects completed to date, we bring that wealth of experience to every new job we take on, so you can be assured that you are getting nothing but the best. If you would like to know more about what we can do for you one of our estimators would be more than happy to visit you at your home, take a walk around your property with you, and discuss your vision, lifestyle and budget specifications. We offer exceptional design & build services, presenting homeowners in the Ottawa area with a plan that makes the most of their property. Share your vision during the consultation stage and have it portrayed in a custom full scale 3D design. Once we present the overall plan in detail with you, a thorough firm quote will be provided and the transformation phase begins. Making your dreams a reality is our priority. We capture and reflect the unique vision of our clients, who put trust in us to execute a quality product under strict standards and timeless. We value our clients thoughts and respect the importance of budget guidelines. We take pride on bringing in a team that is professional, well mannered and respects your property along with neighbouring properties. We are hiring for the 2018 build season! We are looking for both landscape assistants and foremans. If you are on houzz you will have seen our innovative work in our gallery. We are looking for motivated individuals to join our team and aid in building our professional projects. Please email your resume to ryan@greenrootslandscaping.ca Green Roots Landscaping Inc. is a landscape design and build company in Ottawa. We specialize in creating personalized, cutting edge designs in 3D so that a client can virtually walk through the to-scale project before it is built. Our designers are also the company owners and project managers, thereby ensuring that each project from design phase to completion is managed by the same person with the same vision. We have a vested interest in each project being pristine as seen in our portfolio. Green Roots is Ottawa's premier boutique landscaping company. Our attention to detail when using natural and pre-cast stone, along with wood and metal has set our company apart; evident in the company's portfolio. From the initial meeting, through the design phase, and construction process, we insure that the client is well informed, confident of the process, and is completely satisfied upon completion. Please see our reviews on Houzz for further information. Our build season tends to book up quickly so please feel free to contact us at your earliest opportunity to realize your landscaping needs. Please do not hesitate to contact us through Houzz or at info@greenrootslandscaping.ca. If you have any questions, we will be happy to help! Anthony Calagoure is the CEO and founder of Harmonic Landscaping Inc; an established 15-year-old landscaping company serving residents in the area of Ottawa, ON. Backed with a reliable team of ICPI certified and fully insured professionals, It's clear why Harmonic Landscaping is rated 5-Stars by homeowners like you, and received the Urban Design Award of 2018 for our contribution to the Coconut Lagoon renovation project! When he's not busy working, Anthony enjoys traveling with his wife and spending time with his daughter. WHAT WE DO Green Works Contracting Inc. specializes in Custom Interlock, Asphalt Paving, Kentucky Blue Grass Sod Installation, Fence and Deck construction and Commercial Snow & Ice control. Whether it is repairing a deck, building a patio or extending a driveway; we got you covered. We believe in providing top notch quality service at competitive prices. With an experienced and friendly staff, Green Works Contracting can take on any challenge. Green Works Contracting was founded on experience, but built by word of mouth and customer satisfaction. We aim to become Ottawa’s most reliable landscaping company offering services covering all possible landscaping needs. While being a large company has its benefits, Green Works aspires to keep the small business feel by maintaining good customer relationships, hiring experienced and skilled employees, and performing high quality jobs. Feel free to call or email us, we're friendly! As the owner and operator of van Buuren Landscaping, I take great pride in all of the gardens I have had the pleasure of working in over the years. I launched my business in 1994 after more than a decade at retail outlets such as Peter Knippel Nursery and Plant World Ltd. (Toronto). This practical experience, along with a diploma in Landscape Technology from Humber College, paved the way to my current success. Over the years, I have continued to learn about all aspects of the business: from new plant materials and techniques, to partnering with specialty firms to meet the needs of my clients. I believe that every project is unique. Good design must consider not only soil type and exposure, but also the client's personality and lifestyle. I provide a full range of services: from simple clean-ups and design assistance to complete renovation projects. Gardening is a passion of mine that I love to share. Thank you for visiting my website. I hope to hear from you soon. Peartree Property Services creates, builds and maintains the highest quality landscape projects. We combine the finest materials and craftsmanship with a level of customer care that is unmatched by our competitors. Located in the town of Carp just outside the capital city of Ottawa Ontario, We have been providing friendly, reliable. quality services since 1999. Harmony Gardens Landscaping is a design-build-maintain company "creating harmonized spaces". As a professional member in good standing with LO and CNLA we are committed to being environmentally sensitive, educating and promoting being Green for Life. We recognize that activities of our corporation could have a significant impact on the environment and thus embrace our responsibility to minimize this impact and offer innovative solutions to protect and sustain the environment. Principles of sustainability are applied when we do hard and soft landscaping with regard to landscape design and planning, material selections, water conservation and storm water management, low impact development and worksite disturbance with disposal of any debris in an environmentally sound way such as recycling and composting. We work to maintain harmony and balance within the natural environment when we design-build-maintain whilst creating functional, beautiful outdoor spaces to enhance curb appeal, create private backyard retreats that suit your family & pet needs. At Edinburgh Contracting (landscape division) we are customer focused. Our main objective is to provide all our customers with perfection. The words "good enough" is never some thing you will here from us. As the owner I have been in this business my whole life. I started as a laborer and worked my way up over the past 25 years always learning and growing with the industry. My goal when starting my own company has always been to stay on site in the muck. When you hire us you get the owner of the company on site every day building your projects. Eastern Cedar is a family owned and operated landscaping company serving the Ottawa Area for over 10 years. Our core values revolve around effective communication while assisting to develop your creation with superior quality. Only licensed and highly qualified tradesmen work on Eastern Cedar construction sites. The Owner-Operator, JR Cleroux, has over 25 years of experience and can transform any landscape into a beautiful green oasis that you’ll enjoy for years to come. We are very flexible in tailoring your project to ensure complete satisfaction, on time and on budget. No matter how large or small the job, we will efficiently and respectfully meet your landscaping needs. Our focus is on building relationships and client achievements, in order to promote quality enhancements and life cycle improvements throughout our service. Across every division of our service we demonstrate trust and professionalism. We strive to exceed all our clients’ expectations and deliver success every time. Eastern Cedar stands behind each project with extensive warranty coverage and courteous follow-ups. Instant Lawns is one of Ottawa’s elite curb appeal experts specializing in re-sodding, new lawn installation and landscaping. Our mission is to provide the most professional, convenient and efficient service the world of landscaping has ever seen. We are very proud to be one of Ottawa's #1 lawn installation company and among the leaders of our industry. We have in place an ethos of extraordinary customer service, just try us. The Ottawa area's premier residential landscaping and poolscaping professionals. Specializing in custom interlock landscaping design and installation. Swimming pool landscape and poolscape creations with natural stone accents. Ottawa Home and Garden is family owned and operated and has been providing the highest quality of service for over 20 years. Majore Landscaping has been offering affordable landscape designs throughout the Ottawa Valley for over 32 years. We are accredited with the Better Business Bureau. Majore Landscaping works both residential and commercial contracts. The strength of Majore Landscaping comes from the quality of their work and the conduct and professionalism they provide. Fully trained installation crews are experienced in a wide range of hard and soft landscaping. Offering a full range of landscaping services, Majore Landscaping is the complete package for residential or commercial landscaping services. With over two decades experience, Doug Majore and his crew can guide you through the most ambitious landscaping challenges, and complete your project to your specification. Ensuring his personal approval on all aspects of the project; top quality product, a tidy work area throughout the project, attention to detail upon completion, and a satisfied gracious customer are the policy for Doug. His personal pride is on the line when it comes to your landscaping project, and you are sure to benefit from his passion. What does a Manotick landscape contractor do? Landscaping contractors execute lawn, garden and hardscaping plans that have been drawn up by an architect or designer. They may also provide design services on their own. After the everything has been installed, landscape companies can make adjustments, maintain plantings, take care of weeds and pests, and perform other tasks to keep the scheme looking its best. A licensed Ontario landscaper should have detailed knowledge of Manotick, ON weather and climate trends and conditions, and can choose plants and materials that are well suited to the area. 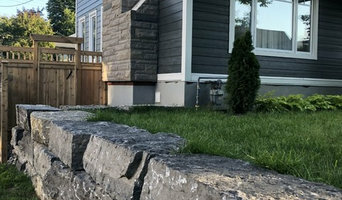 Residential landscape companies in Manotick, ON also handle many of the same general duties as builders, including arranging for construction permits, hiring subcontractors and making sure that designs comply with Ontario building codes. 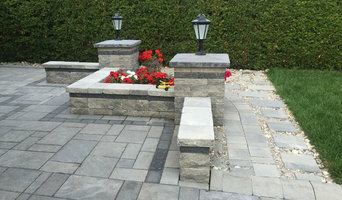 Find Manotick landscaping services on Houzz. 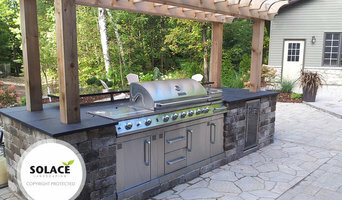 Narrow your search in the Professionals section of the website to Manotick, ON landscape contractors. You may also look through photos of Ontario landscapes to find one you like, then contact the landscaping company in Manotick, ON who worked on it.